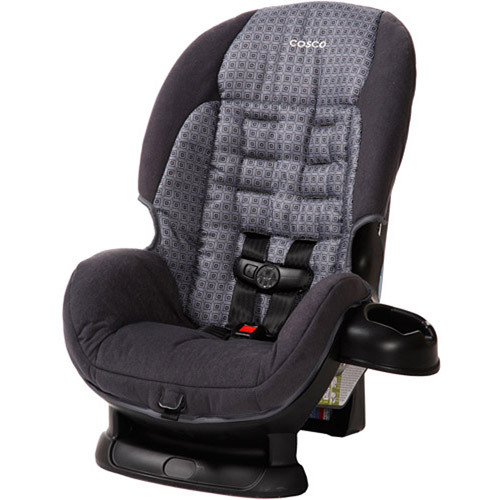 This is the summary of consumer reviews for Baby Trend - Flex Loc 30 Infant Car Seat. The BoolPool rating for this product is Very Good, with 4.30 stars, and the price range is $ 98.54 - $ 109.00. 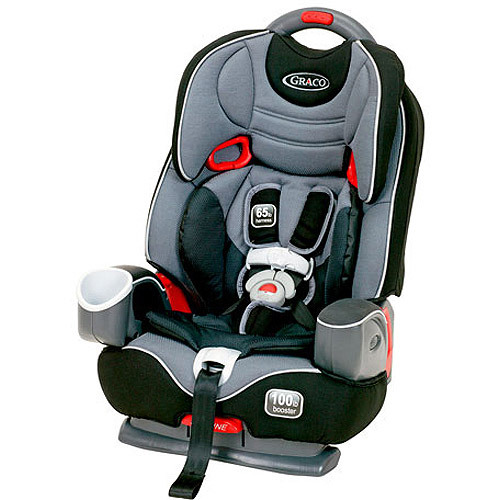 The Baby Trend Flex-Loc 30 Infant car seat lets you take your baby safely and comfortably, with you for those long or short road trip. 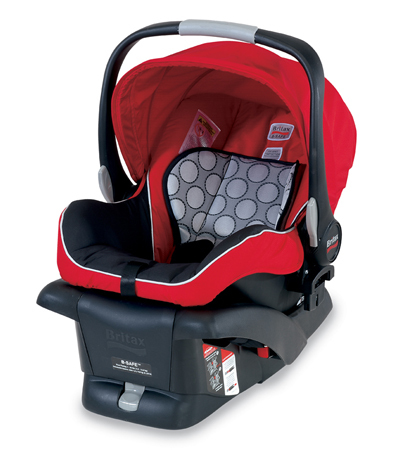 This car seat can accommodate infants from 5-30 pounds (2.2 and 13.6kg) and up to 30" (76.2cm) or less, and the seat base is included. It features a beautiful butterfly pattern with soft fabric and elegant gender neutral colors. 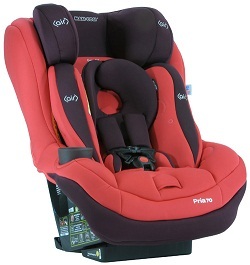 With a 5-point safety harness, your child will remain safe and secure in this toddler car seat. You can adjust these harnesses easily with just one hand. 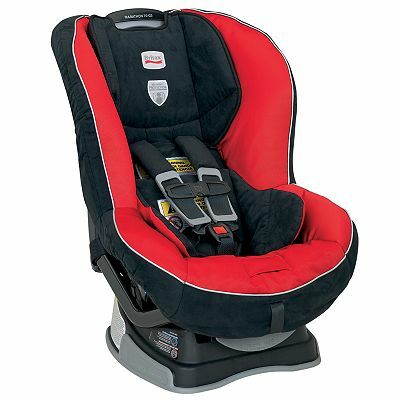 With EPS energy-absorbing foam, this safety infant car seat provides side-impact head protection to your baby while out on the road. 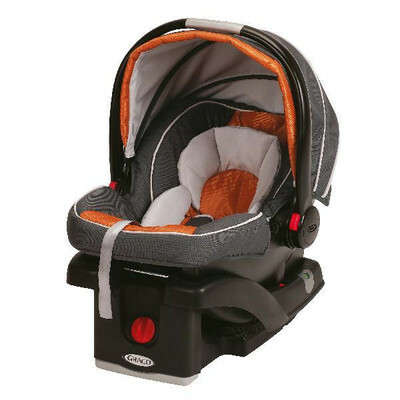 The height adjustable base with level indicator and latch strap allow you to install this toddler car seat in your car easily. The one-hand, easy-access seat release and push-button release further adds to the convenience. A breathable boot with insect net shields your infant and provide extra warmth. The comfort extends to the parent with a smooth carrying handle that won't scratch your arms. Some reviewers do not like the huge height difference between the lowest and second shoulder strap setting. Sometimes users find it difficult to adjust the straps. The buckles also seem to get flipped and twisted. 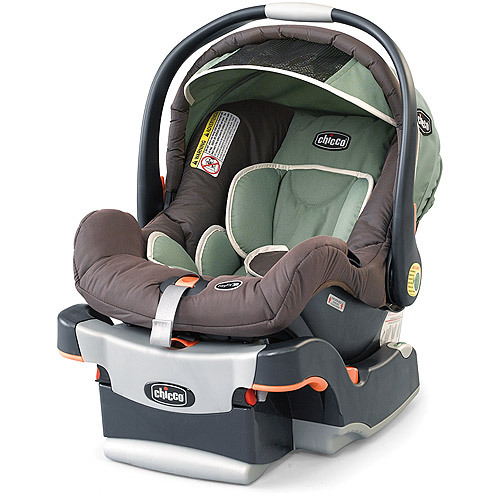 Overall, the Baby Trend Flex-Loc 30 is #1 rated infant car seat for its safety and comfort features. It looks stylish, cute and comes in more than 30 colors/patterns. 16.5"W x 26"L x 25"
I also love the easy shoulder strap adjustment!!! The handle is easy to adjust. I Love It.Very Easy To Use. I love this car seat, it was easy to set up and easy to use. Easy to adjust for my babies growth. It's easy to adjust the straps, easy to install in newer cars that've the latch under the seat. Looks better in person than in pictures, love the features, easy to use, comfortable for baby. very practical and easy installation. I love the flex loc feature as it made the car seat very easy to install. The pattern is lovely too!! I love this car seat, except for one little thing. The print makes it look a little girly, but it's still blue so we could use it for a boy also!.LOVE LOVE LOVE!!!. Other than that, I love the look, I love how easy it's to adjust the shoulder height, and I love how light it's to carry. Love the convenience of click-n-go!. 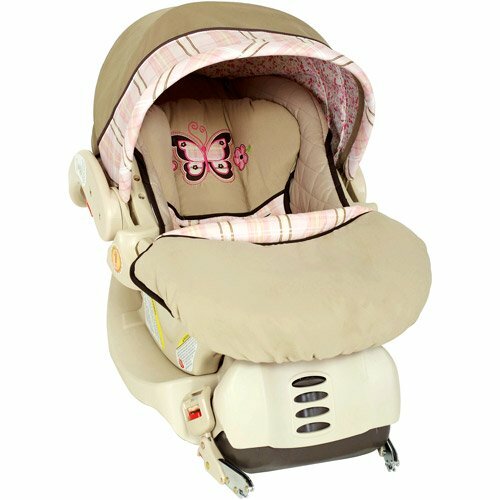 i love the car seat..i got it out of the shipping box and it's what i expected..i love the colors and the butterfly design..i havent got to use it yet cause our baby girl hasnt arrived but i know she'll love it..
had the same brand with first child, Loved it. And a button u push in the front to adjust straps. It's so easy to adjust the height of the shoulder straps and only requires me to turn a knob. I love the adjustable back--the knob is easy to turn to move the straps up and down. We also like the adjustable seat that lets you change strap height without re-threading. The straps don't adjust easily, one always seems longer than the other, and the buckles seem to get flipped around and twisted. There's a huge height difference between the lowest and second shoulder strap settings. To latch the seat at the crotch strap, you must first connect the two straps by laying one over the other and then putting them together into the crotch strap. Its so hard to adjust the straps and the buckle broke so now I've to buy a new one already. Base is very nice and has adjustable reclining positioning. The seat w/the base are a little bulky. Sadly, I also bought the stroller base from Baby Trend. The hooks are extremely easy to use when securing the base, much easier than the last infant seat base we'd! I also love the fact that it comes with a base to leave in your vehicle. They put so much emphasis on installing the base as tight as humanly possible yet the seat moves in it's own base? It's heavy with the base, which I think makes it feel sturdy, but without the base it's light enough for any parent to carry. I absolutly loved the material, and the colors, so very super cute for a little girl. The base is awesome because u can adjust the lean. The seat is padded well and installing the base is a breeze! I love the colors and butterfly design of the product (light neutral colors). Have about a week to go till my little girl is here :) Love the pattern and colors! 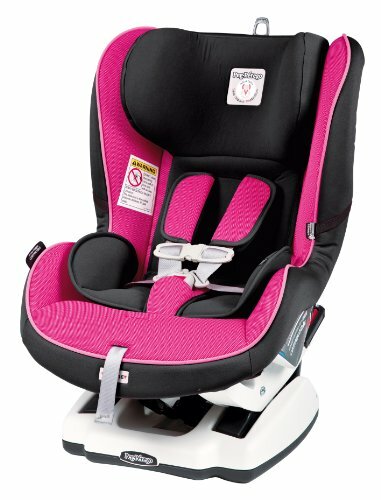 This car seat is light weight, easy to install and I love the colors. Love the fabric and colors and also love the boot to cover baby's feet. Love the color, not too bright and very elegant. The colors also will work for either a boy or a girl. But I absolutely loved the colors and the look of it. Love the colors and patterns - we don't know what we'll be blessed with yet, so we're trying to stay "neutral" but don't love yellows/greens. The colors are awesome for both a boy or girl, we'd a little boy and this car seat works great for a boy also. The carrier is great and colorful.